Advent’s biblical readings can be challenging. We are asked to respond to the call from the desert to “Prepare the way for the Lord” (Mk 1:3), to be “Be watchful! Be alert!” (Mk 13:33), to “Bring glad tidings to the poor” (Is 61:1), and, lastly, accept to do God’s will, at all costs, as our Mother Mary did. In preparing our mind, body and spirit for 25 days, we cooperate with God’s grace to experience the birth of Christ – a great outpouring of God’s love that radically transforms us and our relationships. If we are attuned to God’s work of transformation in us, we can recognize the gentle, or not so gentle, movements of the soul that push us towards holiness. Jesus was born homeless and throughout his ministry. He called us to love the poor. While charity has many different dimensions, there can be temptations to romanticize the poor and reduce the reality of poverty to our own limited ideas. A few months ago, an event occurred with two CCHD grantees in which God was asking me to stop, pray and really recognize who those around me experiencing poverty were. Working for the Church, it’s been easy for me to become engrossed in administrative tasks. Recently, filling out paperwork, submitting evaluations, running programming and countless other obligations day to day, hour to hour, left me wiped. I questioned how much of my work was really rooted in prayer. In this fog of inattention, our office failed to ensure that a CCHD event we were hosting was handicap accessible. This failure was brought to our attention a few days before the event by a grantee engaged in work on disability rights. We tried to remedy the situation—installing temporary ramps to no avail, and changing the location of the event unsuccessfully. The incident snowballed into larger miscommunication with the grantees about the Church’s loyalty to the poor. While we could have easily defended this embarrassing oversight as a reflection of our lack of staff, resources and time, there really was no excuse. Bringing all of this to prayer, I kept thinking about our relationships with these two grantees. I thought, “How could we have forgotten about attending to the needs of the poor?” We overlooked those persons right in front of us, marginalized with disabilities, who experience countless barriers everyday – in transportation, housing, even places of worship. I came to recognize that our blindness was really an expression of privilege and systematic inattention. The social sin that widens the divide between the rich and poor, that favors able-bodied individuals in participating fully in society, is deeply embedded in our infrastructure and in our minds. It’s difficult to grapple with privilege because it pushes you to think about what you’re not considering. In my office, we recognized that, even as allies, we were susceptible to perpetuating this social sin. God widened my lens through this experience. I am grateful for the relationship with these two grantees who pushed us to think about poverty in a way we had not. Now, with their help, we plan to bring a Disability Awareness Training throughout the Archdiocese of Chicago in the spring so that all Catholics can work towards constructing a city that reflects God’s love. This Advent, our office has been intentional about staying away from “programming”, and instead grounding our work in both prayer and relationships. Prayer without relationship reaffirms what you want to think and how you choose to participate in the world. It remains just an idea, with parameters and serious consequences. In these last weeks of Advent, let us meditate deeply on Jesus’s birth – on his humility, his poverty, his joy. Let us dig deeper to be vehicles of change, love and sacrifice. Investing in deep prayer and grounded in clarity through our relationships, God can widen our lens and dismantle our compartmentalized ideas for the betterment of others. 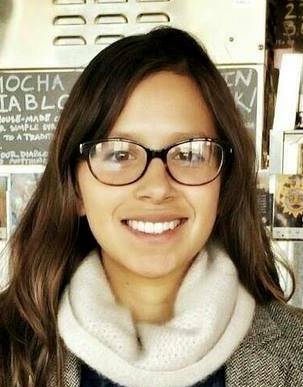 Joanna Arellano is program coordinator for the Catholic Campaign for Human Development and Catholic Relief Services at the Archdiocese of Chicago.